The Ash Street Project Emerging Artist Mentorship Program (ASP:EAMP) is a laboratory for personal development. 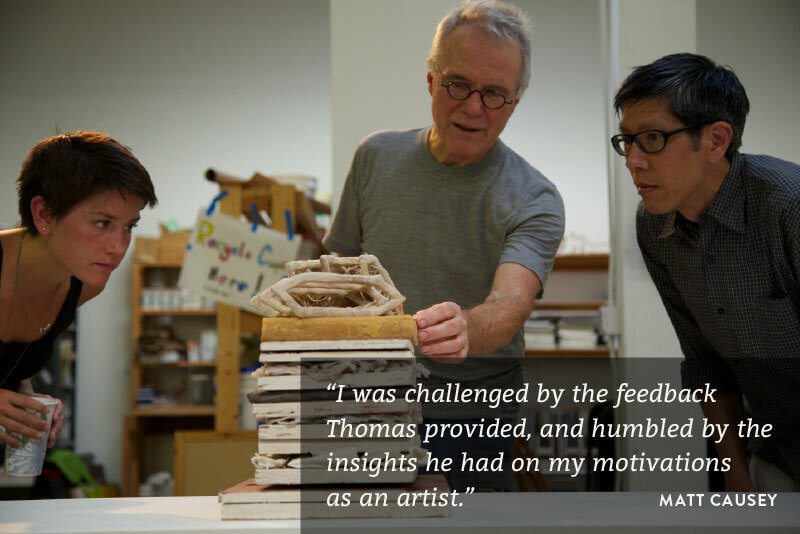 It is an eleven month studio intensive where clay-based artists work alongside Thomas Orr in a mentoring atmosphere. Participants are typically seeking a specific goal such as portfolio building for graduate studies, gaining knowledge in preparing for life as a studio artist, or a focused studio time to reposition their work. It is a making seminar with a collective work environment providing interaction with visiting artists, exhibition space, lectures and critiques.